I am interested in property Modern 4 Bedroom Villa in Anadia close to Golf Course (Ref#: AW-130). We are pleased to present this wonderful, spacious, detached 4 bedroom property which includes a playroom and private study; ideal for anyone who works from home. The house also includes a large private courtyard with garage and off road parking, a charming rustic kitchen and sun room. 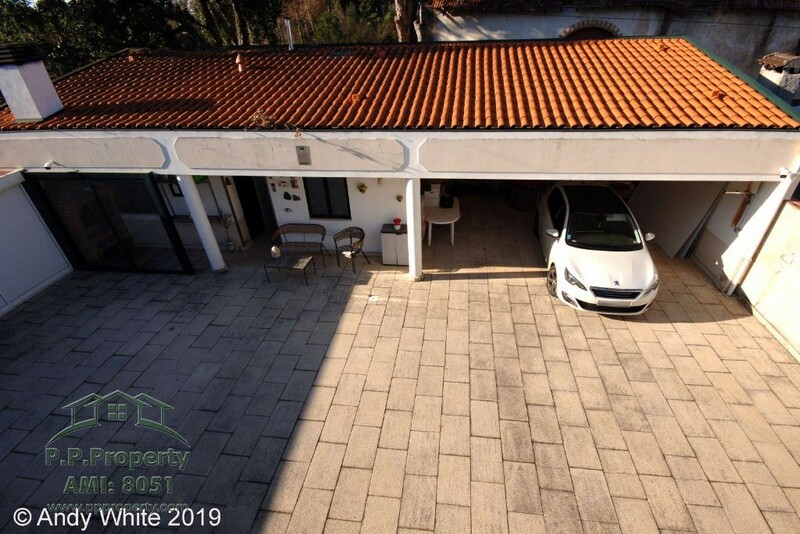 This property is located in the popular town of Anadia, a well-developed area of central Portugal with fantastic facilities close to Coimbra, Aveiro and the beautiful Curia Palace and golf course. This property is beautifully presented throughout and is ready to move into. The house benefits from mains gas central heating, double glazed windows and doors with external shutters. Solar panels provide hot water during the summer months supported by the gas boiler in the winter months; the house is connected to mains drainage. The property also includes a remote controlled alarm system. Ground floor: The main entrance has two doors; the first opens into the private study, next to this the front door to the house opens into a spacious hallway. A second, internal door also gives access into the study making this an ideal location for a home run business. The study (3.28m x 3.68m) includes windows to the front and side of the house, creating a light and airy space with tiled floors and shelving to 2 walls. The hallway extends past the stairs to the first floor and a useful storeroom with shelves. The hallway opens into a beautiful open-plan lounge / diner which is light, spacious and modern. The lounge area (4.38m x 3m) has a picture window to the rear and frosted patio door to the front giving access to the garden. A wood burning fire offers a nice focal point and supports the central heating system. The high vaulted ceilings, down lighters, white walls and large feature windows create a wonderful family room. The dining area (5.3m x 5.5m) has plenty of room for a good sized dining table. The hallway includes a mirrored glass shelving unit and leads through to a door with direct access to the rear sun room (4.28m x 2.43m). The first floor hallway extends above the lounge offering a gallery style space with feature glass and chrome rails. Double doors from the ground floor hallway lead into a further hall (3.89m x 1.7m) which is also accessible by an exterior door from the side parking area. From the hallway a door opens into a fantastic children's playroom (3.6m x 5.4m) with windows to the front and side. This room could serve as a 5th bedroom or a great second reception room. There is also a useful, fully tiled cloakroom (1.35m x 1.96m) which includes a WC and vanity unit with mirror and storage. The main kitchen (3.58m x 5.3m) is located to the back of the property with windows to the side and rear overlooking the private courtyard. The white, wooden base and wall units offer plenty of storage. The spacious and well-designed kitchen includes granite worktops, tiled floors and splash back, double sink, electric hob, oven and extractor fan. In addition to the kitchen you also have a useful pantry with shelving and extra storage space. First floor: Stone stairs lead up past a small landing with modern radiator, large window and onto the spacious upper hallway (10m x 1.49m) with access to the bedrooms which all have laminate flooring. A glass door to the front opens out to a balcony with views over the surrounding countryside. The first bedroom (3.7m x 3.35m) is bright and airy with a large window to the side of the house. Bedroom 2 (3.67m x 3.6m) is located across the hall; this spacious room has a window to the front. The family bathroom (2.5m x 1.93m) is fully tiled with a bath, shower, bidet, sink and WC. The third bedroom is an L-shape with fitted wardrobes, blackboard wall and dressing area (3.66m x 2.5m) extending through to a bright, dual aspect room (2.4m x 5m). The upper hallway features a gallery style area which overlooks the lounge/ diner on the ground floor. The master bedroom (3.5m x 3.65m) includes a fully tiled en-suite bathroom with corner shower, bidet, WC and mirrored vanity unit with storage. A door from the bedroom opens on to a small rear balcony, perfect for enjoying your morning coffee! 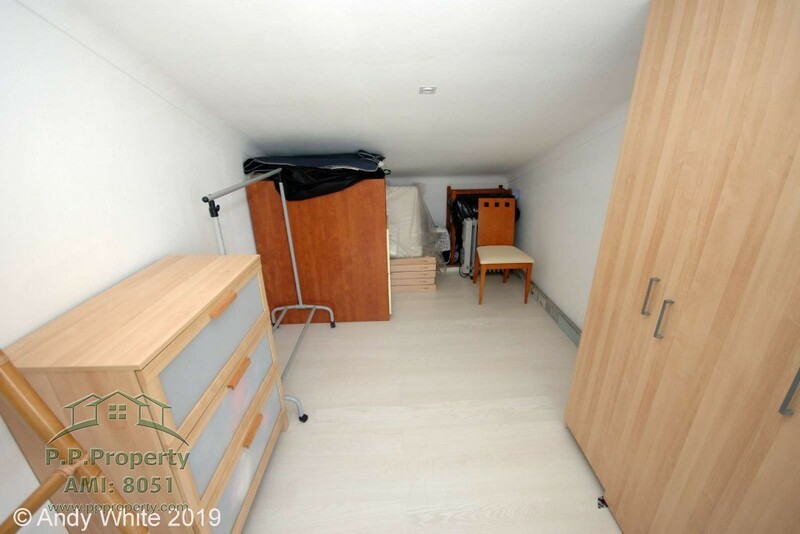 There is a further room (5.2m x 2.45m) to the rear which is currently used for storage but could provide another bedroom. Outside areas: The house is set back from the road with parking to the front and private, off road parking to the side and rear of the house. The pretty, walled front garden is laid to lawn with gated entrances and Calçada Portuguesa paving. A driveway to the side of the house leads to an off road parking space, an electric garage style door provides privacy to the large enclosed courtyard to the rear of the property. 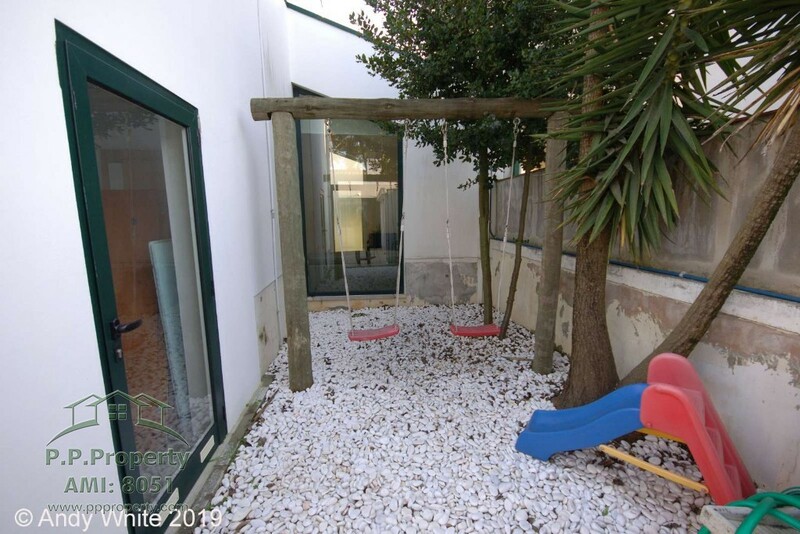 The courtyard includes a small play area directly behind the lounge, a further storage room for logs and more enclosed storage units with sliding doors along one wall. The sun room to the rear of the house offers a wonderful extension to the main accommodation with patio doors opening out to the courtyard. 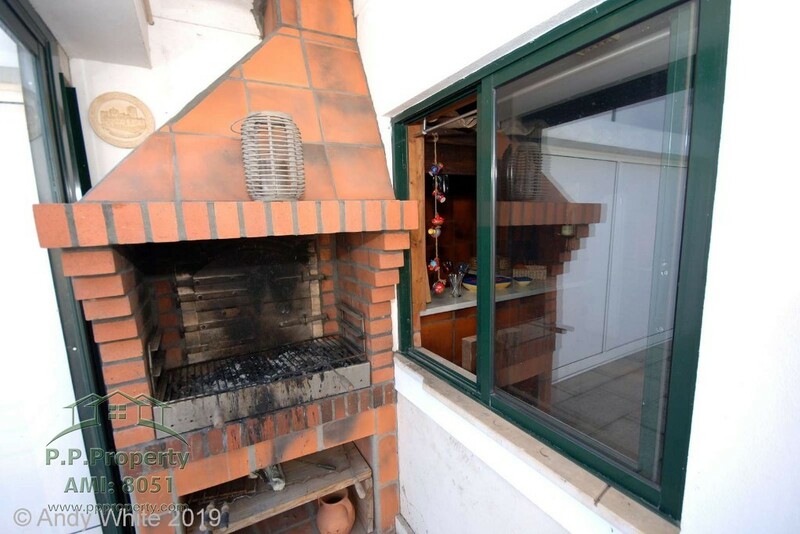 Directly behind the house there is an outdoor BBQ and bread oven with a glass screen shelter and a charming, fully equipped rustic kitchen (4.43m x 4.25m) with wooden wall and base units, marble worktops, double sink, gas hob with extractor and free standing range oven. A corner bar and seating area make this an excellent entertainment space. 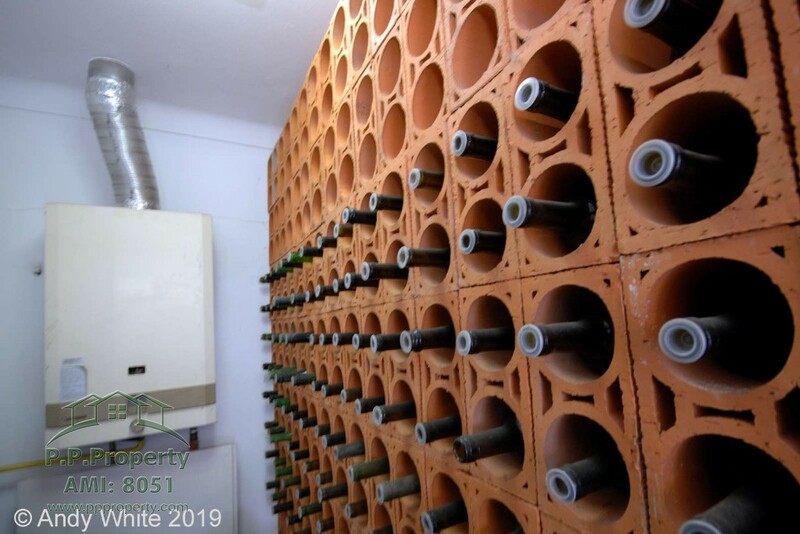 There is a wine store next to the kitchen which also includes a separate gas boiler for the outdoor rooms. A further room includes a corner shower, sink and WC. 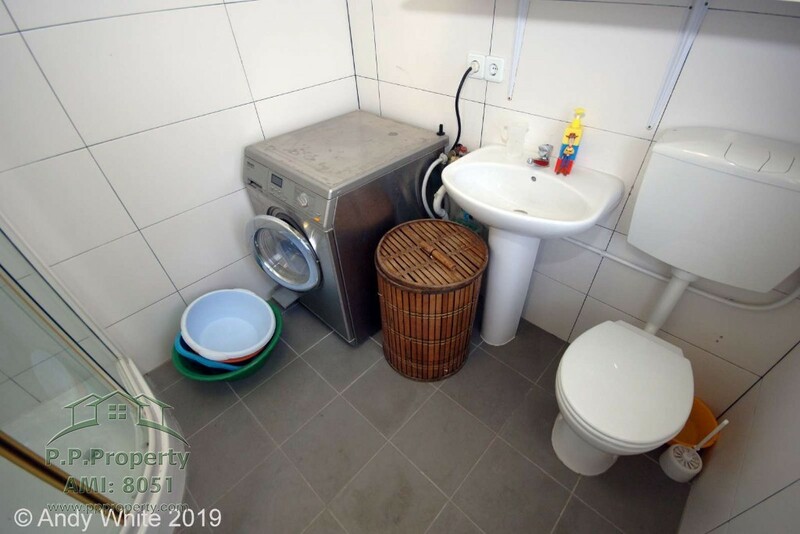 This bathroom includes plumbing for a washing machine. The large garage offers parking for 2 vehicles and access to a further storage room. This fantastic property is perfect for a large family, the design and layout of the house offers plenty of space for everyone to enjoy. The price of this property does not include furniture; this is for sale by separate negotiation. 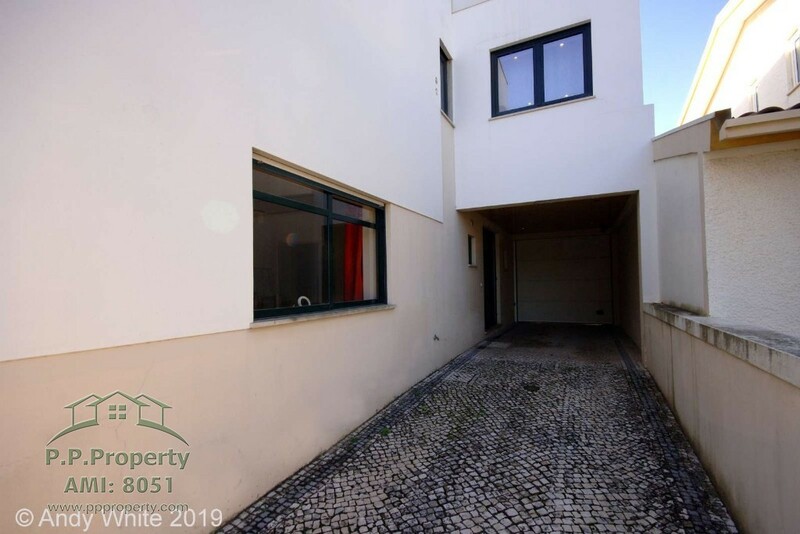 Anadia is a thriving area of central Portugal with a wonderful infrastructure which includes modern schools, health centre and hospital, supermarkets, sports centres, indoor swimming pools, theatre’s, cinema, restaurants, takeaways etc. The beautiful Palace of Curia with its golf course is five minutes away. 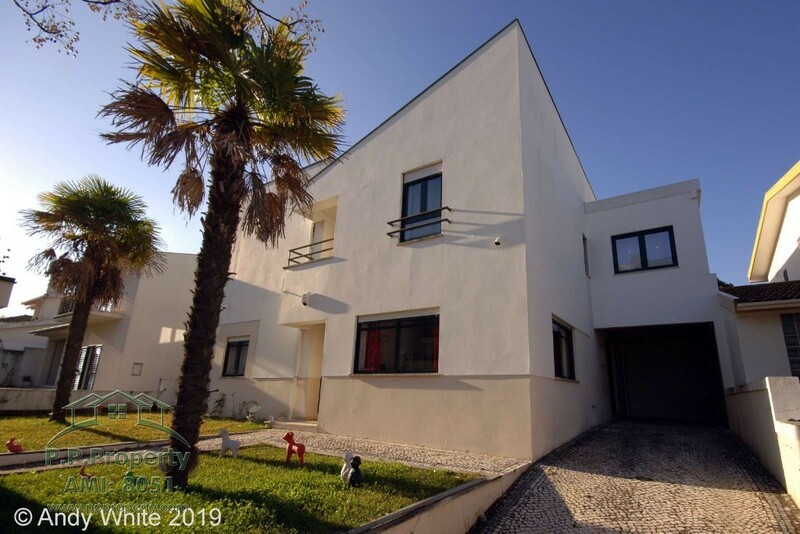 The beaches of Aveiro and Mira are close by and access to Coimbra and the main motorway network leading throughout Portugal makes this the perfect location for a family or holiday home for golfers!